I have thicker skin than I am credited for. As the middle child, one would think that I would only be picked on my by older brother. But oh no, lucky me, I am picked on by my older brother AND my little sisters (that’s plural, folks. I gots two little sisters). Example: Over Thanksgiving, while stuck in traffic waiting to do some Black Friday shopping, my sisters fabricated the ridiculous notion that I am going to shrink as I get older (??). They decided that by the time I am 50, I will be 4’10” with deer hoof feet, walking on my tip toes, speaking in a tiny voice, and my hands will be as small as Juidice’s. I think that our conversation was literally about weight…and how I have lost a few lbs in the past years. Then it just escalated into how I am the shrinking woman and soon I will be Juidice. Of course I don’t let this bother me. Instead, I take them picking on me as a sign of endearment. I cherish the moments we spend together…even if they are telling me someday I will look like a crazy lady with a fivehead. I think I am already starting to look like her. P.S. I’d like to give a shoutout to whomever at SNL came up with Juidice. Thank you for keeping us sane on a rainy day at the Cape this past summer. 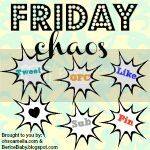 I am linking up with Oh So Amelia and Berice Baby for Friday Chaos Blog Hop! Anyone who is new to my blog – I promise to comment on your blog and follow you over the weekend! I had a really good piece of inspiration… ahem. And yes…if I do shrink, I will have to leave him. Because he is 6’3 and I am TERRIFIED of giants. I loved our 1-hour long conversation today! Maybe when I’m not in sweats we can FaceTime, drink a box of wine, and take obnoxious screen shots of our wine-y debauchery. Mmkay? Good. I agree! Miss you! OH, I forgot to mention this post (it’s the wine’s fault aka wine-y post). You’re a good sport for putting up with all the verbal vomit (I KID I KID). Your sisters sound like fun! Ok, that will be my last tipsy comment. I promise. Hi there Mrs. Bear… 🙂 Thanks for joining Friday Chaos Blog Hop. I just become your new follower/fan. Thanks for the share and the inspiration! Have a fantastic Weekend! Oh my Juidice too darn funny!!! Well you will need to pull your hair back further but other then that yes I see it. 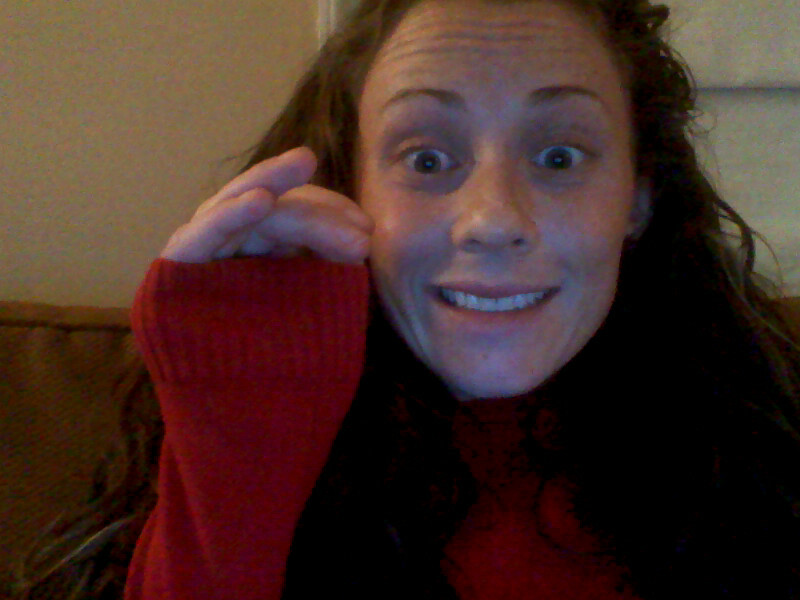 hahahahaha No seriously you did get ribbed alot but your right its out of love. Who doesnt get ribbed by their siblings? I love Juidice – too funny! 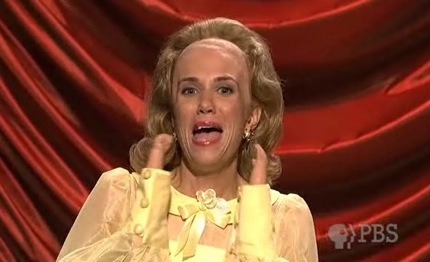 I kinda love when she was on SNL. Now I look foward to Stefan! Hahaha, I am right there with you, SO thankful for whoever came up with that skit over at SNL 🙂 New to your blog and loving it! community. Your web site offered us with valuable info to work on.